You are here: Home / ADHD / What to do when your special needs child gets sick – some tips. When a child is ill, even with a minor illness such as the common cold, a parent faces new challenges. When a child with special needs gets an illness, the challenges are much more daunting. Here are some tips I learned to help a sick child who has special needs. If you need to bring your child to the doctor or hospital, explain to your child where you are going and why. Tell them what you think will happen when you get to the doctor’s office or hospital. Social stories are a great tool to teach children with special needs about different events including going to the doctor or hospital. One Place for Special Needs has a list of free social stories covering a variety of topics. Inov8 lists six apps for making social stories. Children have vivid imaginations and may imagine the worst if they are not told what is going to happen. You know your child so you decide how much information to give him. Remember to reassure your child that he will be okay. If you bring your child to the doctor or hospital, you will probably have to wait. Bring what you can to keep your child occupied including toys, books, video games, portable DVD player, etc. If your child is verbal and old enough ask her what toys or games she wants to bring to the doctor’s office or hospital. In addition, pack drinks and snacks that your child likes, but wait until you check with a health care worker before offering them to your child. When you arrive at the doctor’s office or hospital, make sure the person at check in knows your child has special needs. Explain how your child’s problems may become exacerbated by a long wait. If you have time, make a few “to whom it may concern” notes or cards. Put your child’s name, diagnosis, main manifestations of his special needs, any extra-sensitivity to touch etc. on the cards. Give a card to the receptionist and anyone else involved in your child’s care. If the check in person can’t help with the waiting time, ask if there is a quieter area where you can wait. 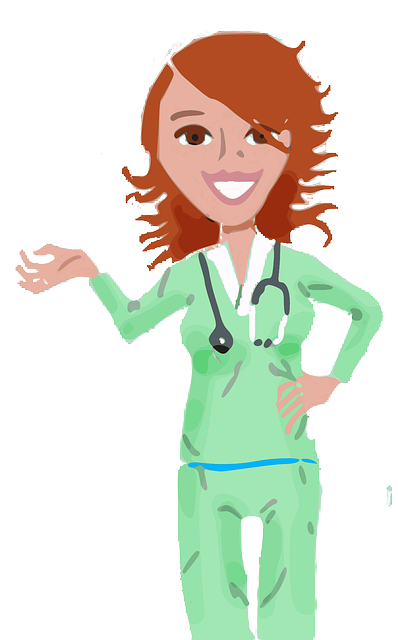 Remember some doctors and nurses have little or no experience in special needs and will be grateful for any information you can give them. If you don’t have a prepared note or card to give them, take them aside and explain what works best for your child, what does not work and what will exacerbate his symptoms. You will have to explain your child’s needs to each medical provider involved in his care. Also, consider using The Hospital Communication Book. This book helps patients with special needs communicate with their caregivers and it can be downloaded for free. If hospitalization is required, your child will be out of his comfort zone and frightened. Try to increase his feelings of safety and security by surrounding him with familiar objects. Bring in toys, teddies, blankets and pictures to create familiar surroundings. 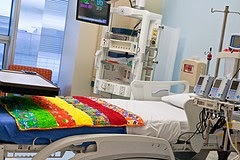 Hospitalization also brings another challenge – noise. On a ward, there is noise from multiple conversations as well as beeping and other noises from medical machines. Consider bringing in an iPod with headphones or earplugs for your child. For children with sensory issues, the bright lights in hospitals are disturbing. Bring in sunglasses or eye masks to reduce or block out the light. 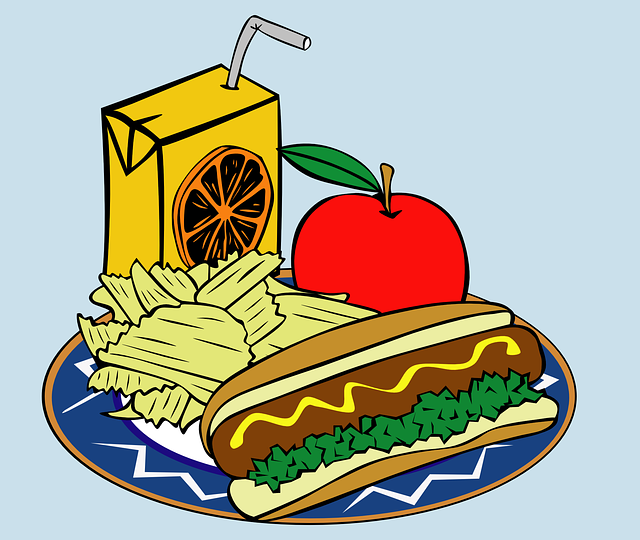 If your child’s diet is limited, bring in foods he will eat – just make sure you get the doctor’s approval first. If you aren’t able to stay with your child, ask the nurses where to leave your child’s food and to make sure the food is brought to your child at mealtimes. Some children with special needs have a skewed perception of pain. If this applies to your child, make sure the doctors and nurses assessing and treating him know this. The common cold is a challenge for kids who have difficulty blowing their noses. When your child does not have a cold, let her practice using her nose to blow out candles. Once she can do this, she should be able to blow her nose properly. Many children are afraid of needles and are unhappy if they need blood drawn. If this happens, ask that the area be numbed first and the smallest needle used. You want to make the situation as painless as possible so your child is not afraid if he needs blood drawn again. If you child needs to rest and is resisting this, try calming music or let him read, watch TV or play a computer game in bed. As mentioned above, a good thing to prepare before an unexpected hospital or doctor’s visit, is a note that explains your child’s diagnosis and symptoms as well as what types of action may trigger a meltdown. 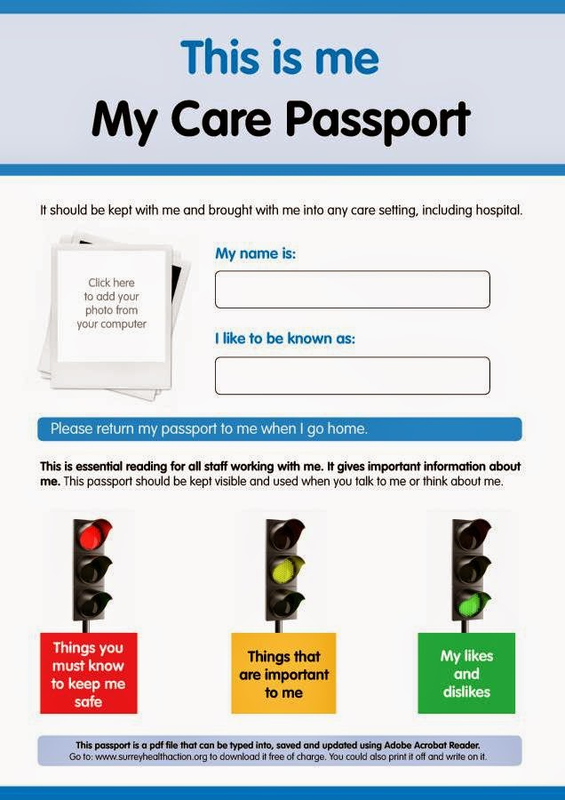 Alternatively download the My Care Passport, which is suitable for doctor and hospital visits as well as other care situations. Most children have a regular doctor or pediatrician with whom they are familiar. However, there may be times when your child’s your usual doctor is not there. To prepare for this situation, ask the receptionist or secretary to put a note in your child’s medical records (both paper and electronic) about her special needs. If you are unhappy with how your child is treated, speak up. You know your child the best and you are her advocate. Express any concerns in an assertive not argumentative way. If necessary, ask for a second opinion or to speak with someone in a management role.